Vibration (input from Indikon Proximity Probe or A3J Seismic Pickup.) Controls loop current in proportion to vibration sensed by proximity pickup. 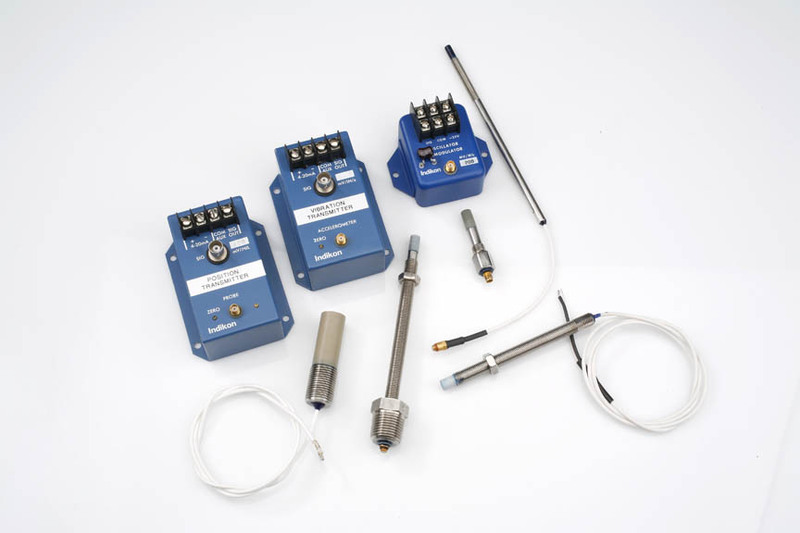 The XT-103 Displacement Transmitter connects to a proximity probe that is mounted perpendicular to a metal target. The transmitter generates DC voltage that is proportionate to the gap between the probe and the metal target. This DC voltage controls a 4-20 mA current loop for a specified probe gap range such as 35 – 75 mils, 20 – 200 mils, 0.50 – 2.00 mm. Please note that the loop current solely powers the transmitter. Displacement (input from Proximity Probe) Controls loop current in proportion to proximity probe gap. 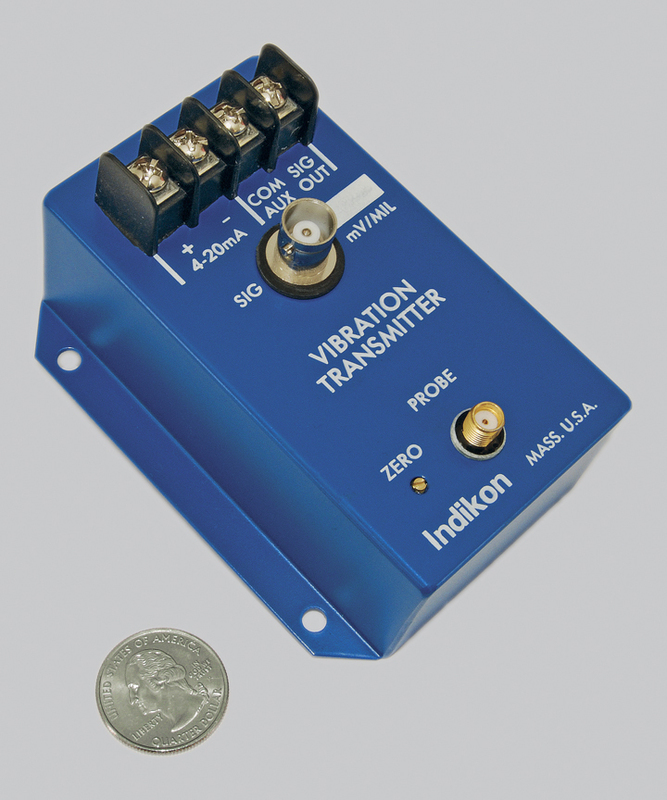 Vibration (input from Accelerometers) Controls loop current in proportion to vibration sensed by accelerometer. 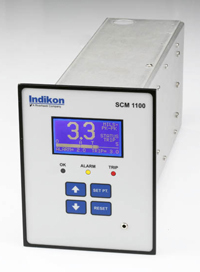 Contact our in-house engineering team for more information about Riverhawk’s Indikon XT Series Transmitters.